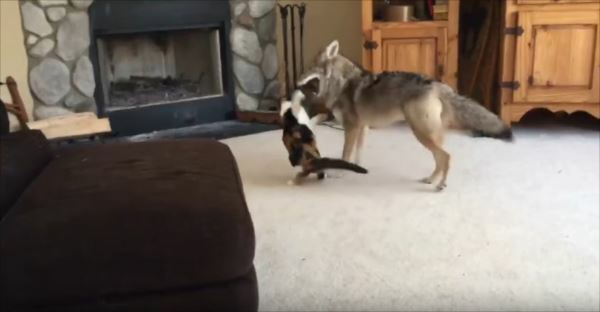 See an Unusual Friendship Between a Wild Coyote and a Domesticated Cat on Video!!! Here is an image that captures the close friendship of a coyote and a cat! 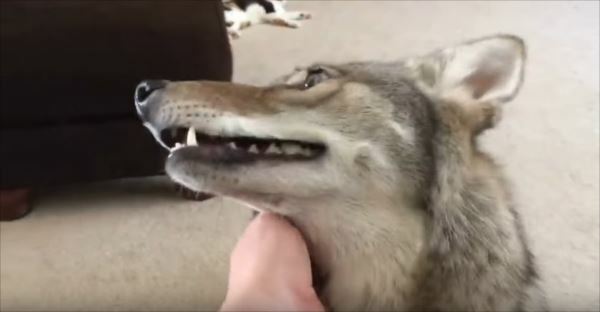 A coyote is a wild carnivore and is similar to a small wolf but the coyote in this video appears to be somewhat domesticated and is quite gentle in nature since the animal is living in a home with a cat! 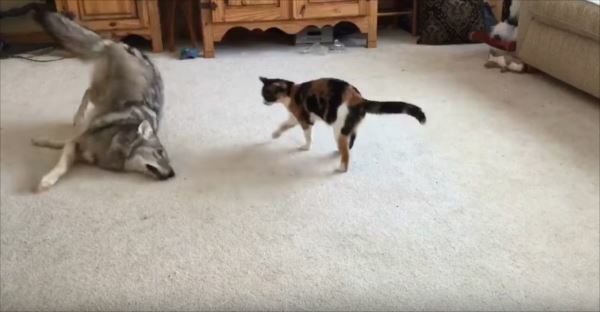 Please enjoy this fun filled video with these two close animal friends! Acting like brother and sister. Two different species of different sizes getting along together like family. 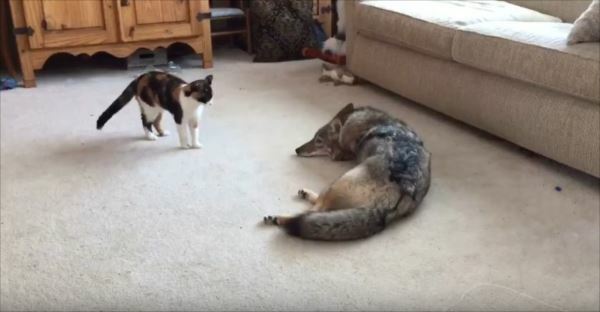 ▼ The cat appears to be completely comfortable spending time with the coyote! 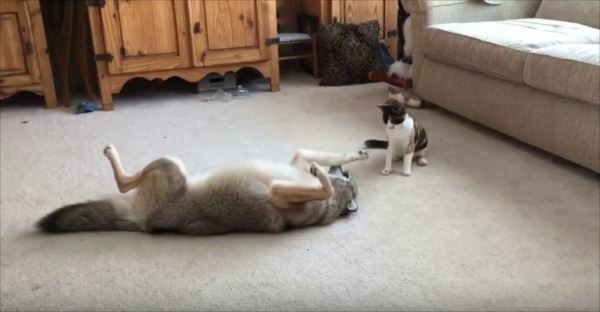 ▼ Here is the coyote inviting the cat to play. 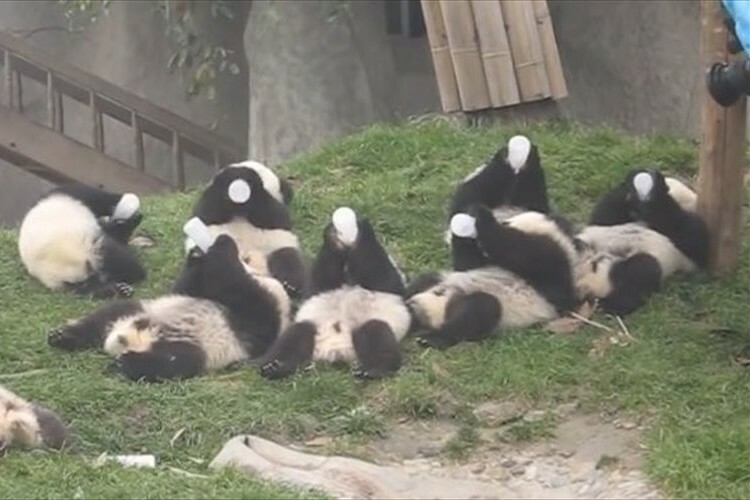 ▼ Lying back and inviting the other to play and have fun together! ▼ Are you both tired of playing? ▼ This playful battle between the two animals resumes! Despite the vast differences in size and strength, the coyote treats the cat with gentleness and restraintwhich is truly marvelous to see! 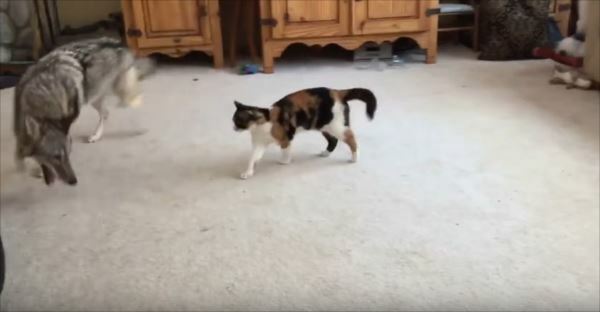 The two animals really do seem to have a close bond that is such a delight to see on video! 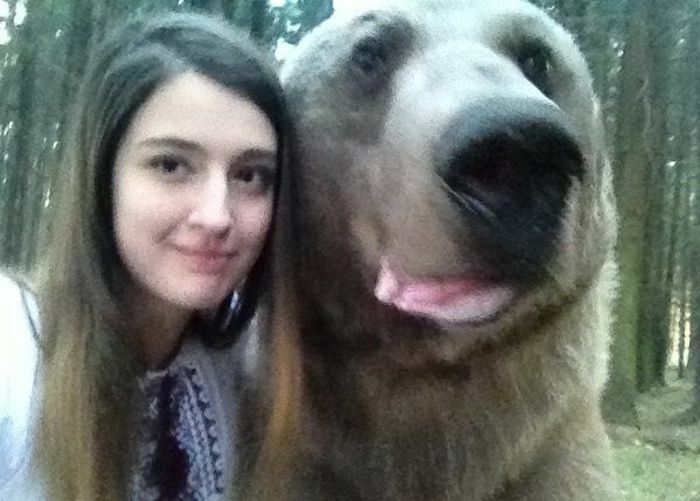 “Beauty and the Beast” Really Exists in These Photos of a Russian Girl and a Bear!!! Watch the Heartwarming and Inspiring Video of a War Orphan’s Art Created with “Chalk”!!! 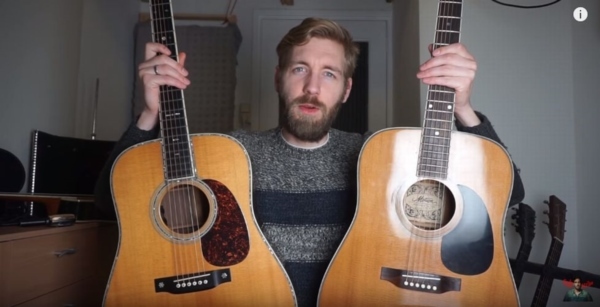 Can You Tell the Difference in Sound Between a Low-Priced Guitar and a High-Priced Guitar in This Challenge?? ?